This question is a little more complex than it seems on the surface. Let's start with understanding the reason you believe you need to provide some form of braking in the first place. Do you need to stop very quickly under either normal or emergency stop conditions? Does your process need to be able to decelerate quickly when changing from a higher speed to a lower speed? If none of these conditions exist you may not need to provide any form of braking at all. The system friction and windage may be sufficient to stop the motor or slow it down in an acceptable amount of time. Now, whenever the rotor frequency of an induction motor is greater than the stator frequency the motor automatically becomes an induction generator. When this happens current will flow from the motor (now a generator) towards the utility grid rather than from the power grid to the motor. 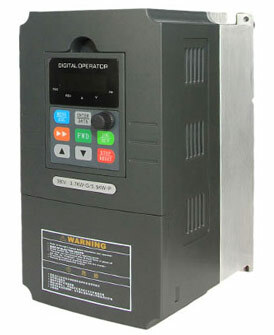 If you have an AC variable frequency drive (VFD) as the controller for the motor usually they will have either a 3-phase, full-wave diode rectifier or a 3-phase, full-wave SCR bridge as the means to convert 3-Phase AC voltage to DC voltage that is filtered and stored in the DC bus capacitors. These devices block any current flow that may come from the motor (when it is regenerating) so the current flows into the DC bus capacitors. When this happens the voltage across the capacitor rises and could exceed the capacitor's voltage rating if left uncontrolled. This would let the magic smoke out of the capacitors, causing a VFD failure. To prevent this from happening most VFDs have a DC bus voltage sensing circuit in their control scheme that would turn off the inverter output switches which would then interrupt the flow of current from the motor and the motor would essentially coast to a stop. The VFD would likely display an "overvoltage" fault. One way to dissipate the regenerative current coming from the motor is by putting a DC chopper transistor in the DC bus circuit along with a resistor in series with it. This is called Dynamic Braking. There are a number of factors that come into play with this method. First, the manufacturer establishes the maximum amount of braking current that is allowed through the DC chopper transistor (based on it's current ratings). Since this is a DC circuit, once you know what the turn-on voltage is for the DC chopper transistor and you know the maximum DC chopper current that is allowed then you will know what the absolute minimum ohmic value could be for the dynamic braking resistor. This value will determine how much braking torque can be developed because the amount of current is proportional to the amount of motor braking torque that can be generated. The lower the ohms, the higher the current, the more braking torque is produced, the faster you can stop. The other factor that comes into play is the duty cycle which is another way of saying how often are you going to use the braking resistor and for how long each time? This will affect the wattage rating of the resistor. If you want to spend the most money just ask for one that is rated for 100% duty cycle. I've found that ohms are relatively free but watts cost money. Now, how will X amount of braking torque available translate into how long it will take to stop a given load? This is based on the total system inertia as it is reflected to the motor shaft, what change in speed is required, and the size of the VFD relative to the size of the motor. Regenerative braking requires an AC variable frequency drive that has a rectifier section that is capable of returning motor (now generator) current to flow back to the AC power grid, which acts as the absorber for this current. At 100 hp this is not an economically attractive solution because they are much more costly than a standard, non-regenerative VFD. DC injection braking has its own limitations because it causes excessive motor heating.